Free Expansions for your Maschine! 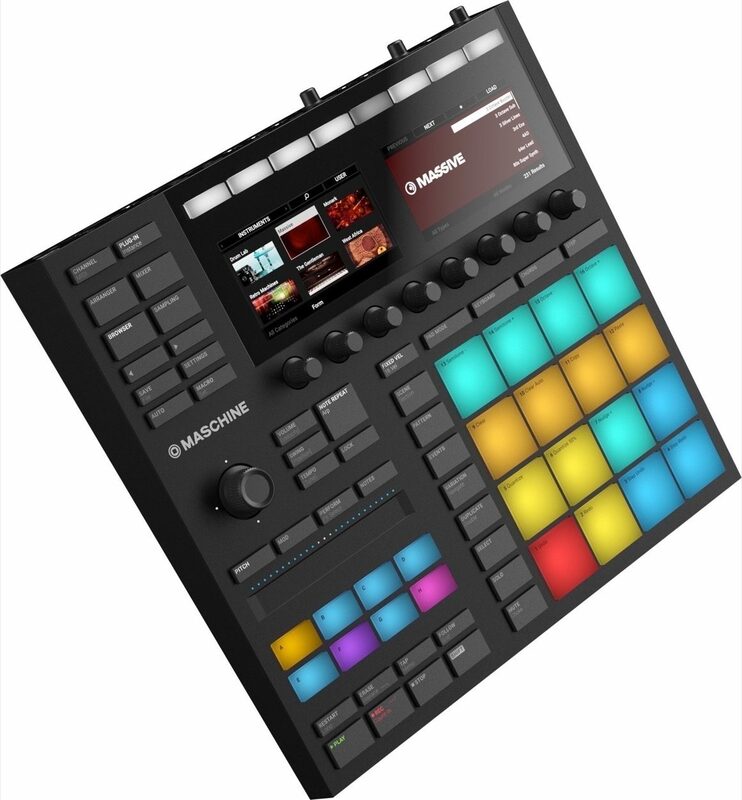 The third-generation Native Instruments Maschine Groove Production Studio offers dramatic improvements over its predecessor, giving experienced and novice users alike a colorful, revamped set of tactile controls -- along with loads of included samples, FX, and a full version of NI's Massive synth -- that will take live performances to the next level. 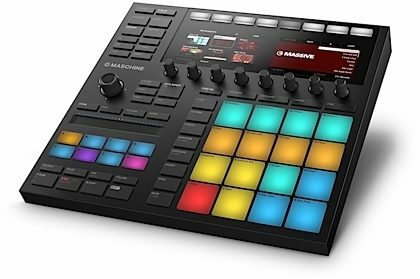 Upgraded to speed up and improve your workflow, Maschine is a hardware/software beast of an instrument that covers all the bases for computer-based music production. 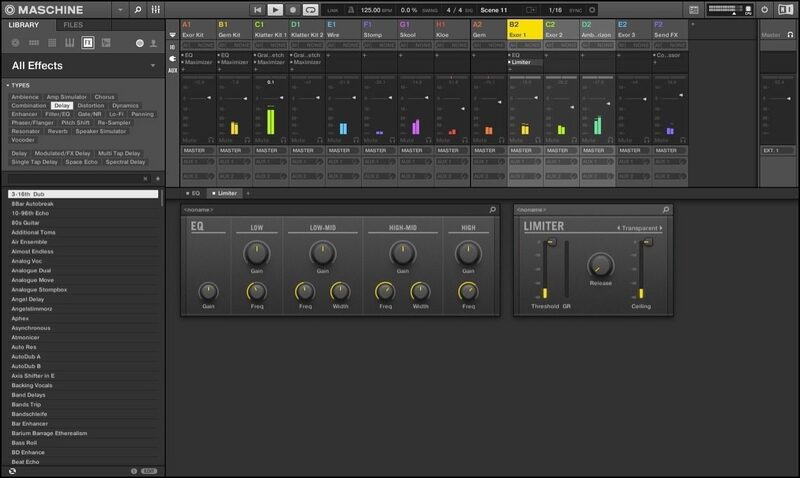 It's essentially a professional sampler, a high-resolution 96kHz/24-bit audio interface, a pattern-based sequencer, a multi-effects unit, and a VST/AU plug-in host all in one sleek box, with streamlined buttons and knobs for composing, performing, sampling, slicing, and tweaking effects on the fly. Since you can use it to control your DAW as well as all your hardware sound modules and sequencers, Maschine MK3 will quickly become the center of your rig. Maschine MK3's multicolored illuminated pads with velocity and aftertouch help you organize your groups, sounds, patterns, and scenes according to color, so that during live sets, you have an easy way to remember which button is assigned to what. The pads and group buttons light up in your choice of up to 16 vivid colors, so you can find your sounds fast. In addition to being visually pleasing, the improved pads are also larger and more sensitive than those in previous Maschine models, giving you a more precise way to play. Maschine MK3 boasts two high-res, full-color displays, giving you a supremely clear view of your samples and slicing and mixing controls. Pair those screens with the new four-directional push encoder knob, and navigation is as seamless and user-friendly as ever, smoothing out your workflow and eliminating any obstacles that get in the way of music creation. 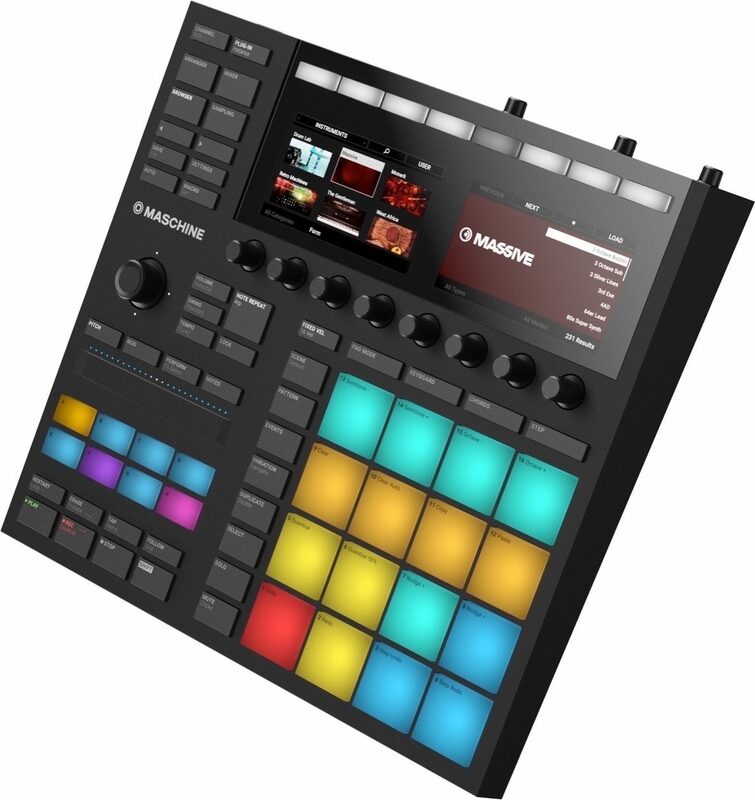 If Maschine MK3 pads seem to be placed closer together than on previous incarnations, they are -- it's because the MK3 pads are actually larger. They've also been made more sensitive than in the past, making for easier, more accurate finger drumming, especially when using two hands. 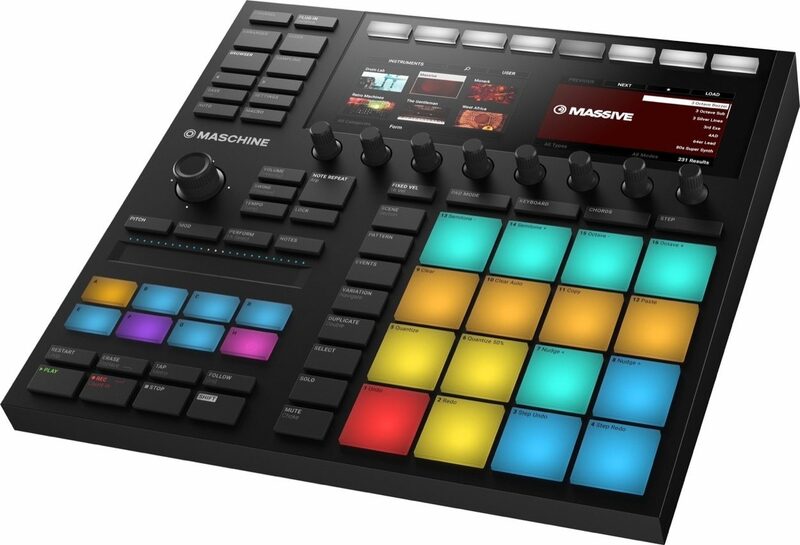 Maschine MK3 adds the innovative Smart Strip control also found on Maschine Jam. This strip lets you easily bend pitch, "strum" notes, and control your effects parameters. A row of LED lights just above the Smart Strip makes it easy to find even in dark clubs. 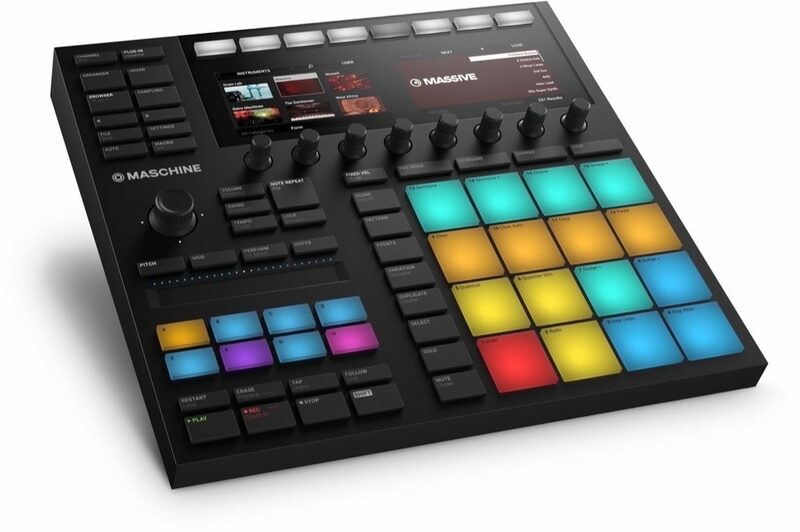 So you can play right out of the box, Maschine MK3 comes with over 8 GB of sounds and patterns for creating killer rhythms and melodies -- drum kits, one-shot samples, basses, synths, and acoustic instruments are at your fingertips. NI's Komplete 12 Select is included as well, with 25 GB of samples and synths to work with. 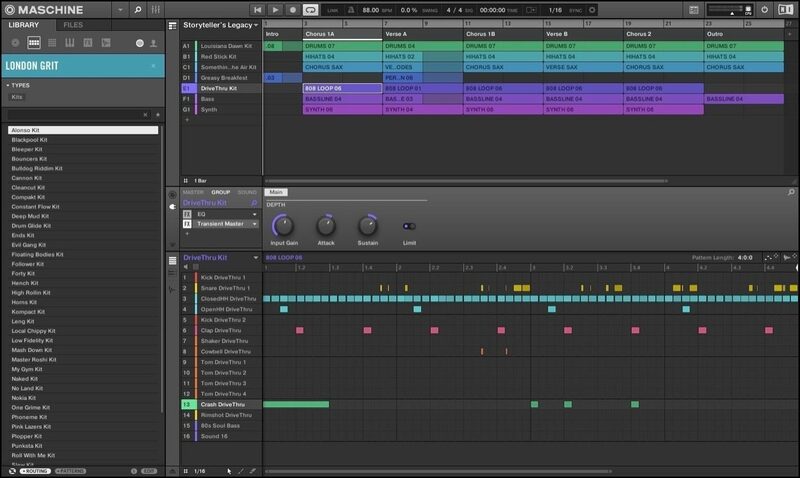 The included Komplete 12 Select software includes Native Instruments' renowned Massive software synth, which features its own set of 1,300 sounds for making basses and leads. Instantly browse all those sounds on Maschine MK3 hardware, and use the unit's eight control knobs to directly access Massive's eight Macro controls. The included software also provides time stretch and pitch shift capability. 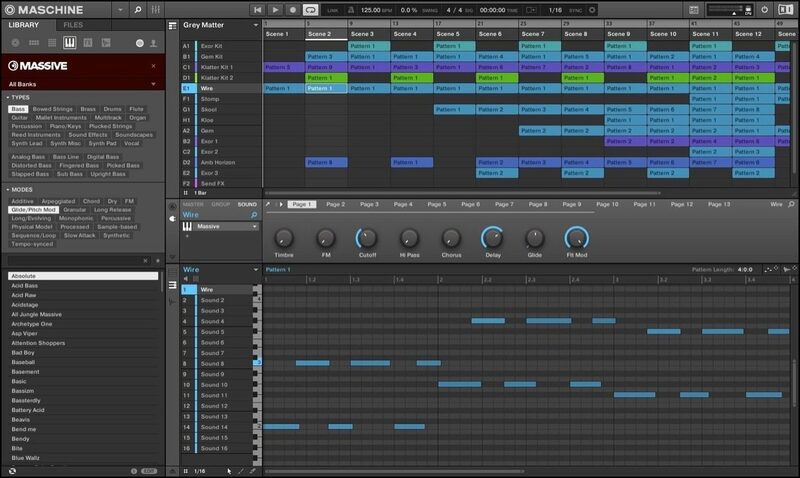 With the help of automatic BPM detection, you can stretch smoothly from one BPM to another, as well as stretch your audio to a specific length. The handy pitch shift function allows you to tune your samples and make your beats match harmonically. One of the most useful additions Maschine MK3 boasts is its integrated 96 kHz/24-bit audio interface, which consists of stereo 1/4" inputs, a 1/4" dynamic mic input, stereo 1/4" outputs and a 1/4" headphone output. 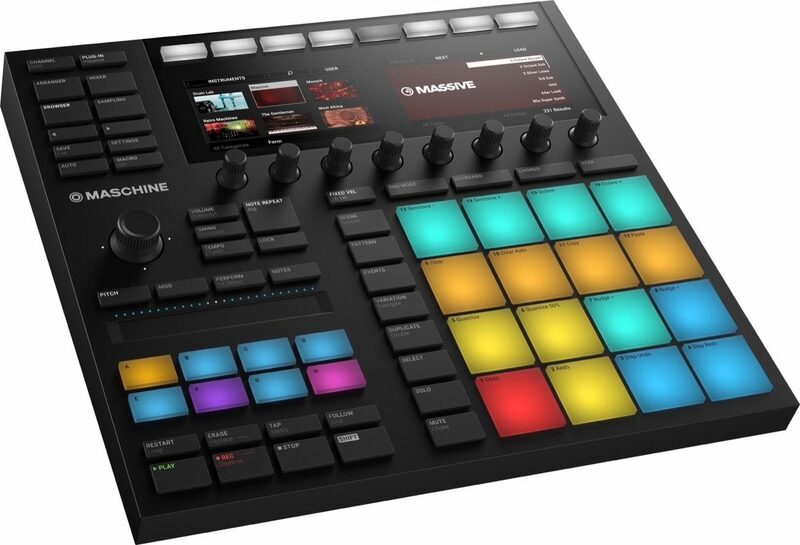 All this -- plus the included samples, drums and loops from Native Instruments Komplete -- makes Maschine MK3 incredibly easy to get started on right out of the box. No need for an external interface or sample library! And if you do already have a robust studio setup at home, you'll be happy to know that Maschine MK3 is compatible with all major DAWs and offers advanced integration with your Komplete software and controllers. Maschine MK3 is a creative production tool meant to streamline your setup and help you make music fast, both live and in the studio. A versatile machine, NI's Maschine MK3 can be used as a performance instrument and as a MIDI controller for performing your own tracks.